Idaho has long been synonymous with the outdoors; one of America’s last frontiers. Few places in the world provide the access to high quality of life next to the pristine and beautifully rugged environment found in North Idaho. This coexistence drives North Idaho’s economy by bringing tourism and by attracting workforce professionals from around the country. The Forest Legacy Program (FLP) is a federal program that supports state efforts to protect environmentally sensitive forests through the use of conservation easements. 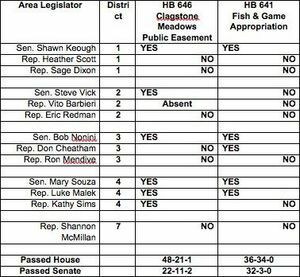 During the recently completed legislative session, HB 646 provided the appropriation to the Department of Lands and the Department of Fish and Game to partner with others to purchase the Clagstone Meadows conservation easement in Bonner County. The Clagstone Meadows Forest Legacy project is composed of more than 13,000 acres of contiguous private forest land. Rather than sell to a golf course developer, the land owner, Stimson Lumber Company, preferred to sell the development rights, valued at $12.6 million, and keep the land in timber production in perpetuity. This transaction would help protect the region’s drinking water; protect wetlands; maintain habitat for elk, deer, moose, bear, forest grouse, waterfowl and a variety of native species; retain local timber jobs; and allow for non-motorized public access to private property. With this in mind, one wonders why several North Idaho legislators voted against the Idaho Fish and Game budget this year — a budget which is primarily user fee based (the sportsmen’s money) and contains no General Fund tax dollars. Are they accusing Idaho Fish and Game of fraud or abuse? Are they concerned about waste in the agency? No. 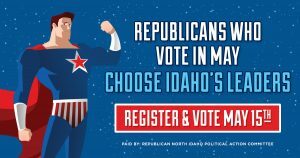 Instead, these legislators and the Idaho Freedom Foundation are upset about a constituency-driven project with federal, state and a private cooperation. The project does have costs. Idaho Fish and Game is paying $2 million for the permanent easement to allow public access, and Stimson itself is contributing more than $3 million. However, not protecting this land would also have costs: namely the destruction of iconic wetlands and Hoodoo Creek. In fact, the land in question is so fragile, the U.S. Forest Service has it ranked sixth on its list of priorities. Fortunately, Clagstone Meadows will continue to be multi-use. Stimson will be able to produce timber from the property and Idahoans will be able to hunt, fish and hike. 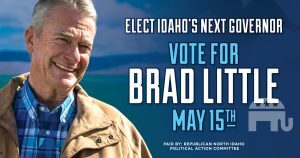 In summary: 1) The landowner commits to a non-development strategy and provides perpetual public access easements to be held by the state of Idaho. 2) The landowner will retain ownership of the property and will continue to manage the timber resources into perpetuity. 3) The landowner will cooperate with the Idaho Department of Fish and Game on management actions and for public access for recreation and hunting. 4) The land owner is free to sell the property, but not to subdivide or construct residences, and the easement will carry forward to subsequent landowners. Bottom line: The Clagstone Meadows project, passed in the legislature this year, is supported by local Idahoans, the private business that owns the property, the state Fish and Game, the Idaho Department of Lands, the U.S. Forest Service, and Idaho outdoorsmen. Local county commissioners have listened to constituents about the project but have not taken an official position. With the support of basically all interested parties, the Clagstone Meadows Project was upheld intact, thanks to Idaho’s responsible, conservative legislators who voted YES. This begs the question: Whose interest is being served by legislators who voted against these budgets?